As wonderful as Frenchies are, they are not the best dogs for everyone. Here are some resources that will be helpful in researching these very special companions, to make sure this is the right kind of dog for you and your family. Much of the information here will help you to find the best breeders, what questions to ask, and how you should be prepared to talk about yourself and your home. And as there are many people who breed dogs, please be careful when choosing a breeder. The best breeders will want to know everything about you before entrusting their baby to your care. A French Bulldog for Every Season by Michele Copen. 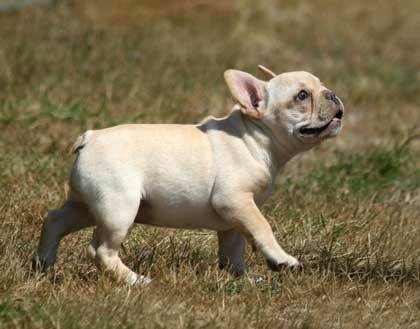 The Illustrated Standard of the French Bulldog. Published by The French Bulldog Club of America. French Bulldog: A Complete and Reliable Handbook by Muriel P. Lee. TFH Publications; 2000. The French Bulldog: An Owner’s Guide for a Happy, Healthy Pet by Kathy DAnnel. French Bulldog by Muriel Lee. TFH Publications. The Flat Face Encyclopedia: Bulldogs and French Bulldogs from A to Z by Janice D. Grebe and Steve Eltinge. Healthy Frenchies: An Owner’s Manual by Jan Grebe. Published by Ardesign, Inc. The French Bulldog by Steve Eltinge. Publised by MIP Publishing, 1988. JustFrenchies. Quarterly magazine published by JustUs Publications. The French Bullytin. Quarterly magazine published by ArDesign, Inc.